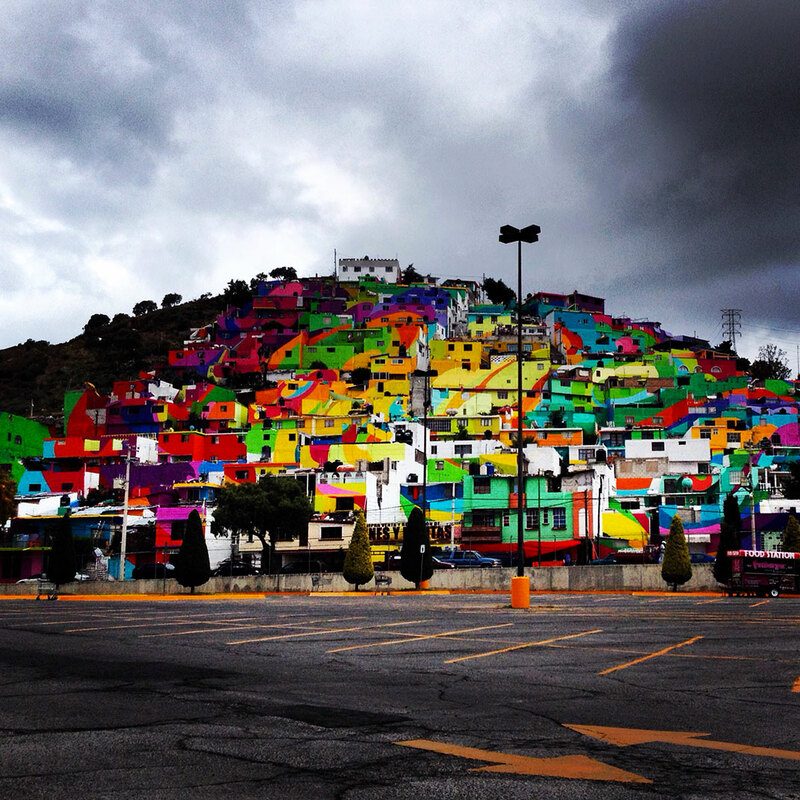 Palmitas is Mexican city that had developed a reputation of being plagued by violence. 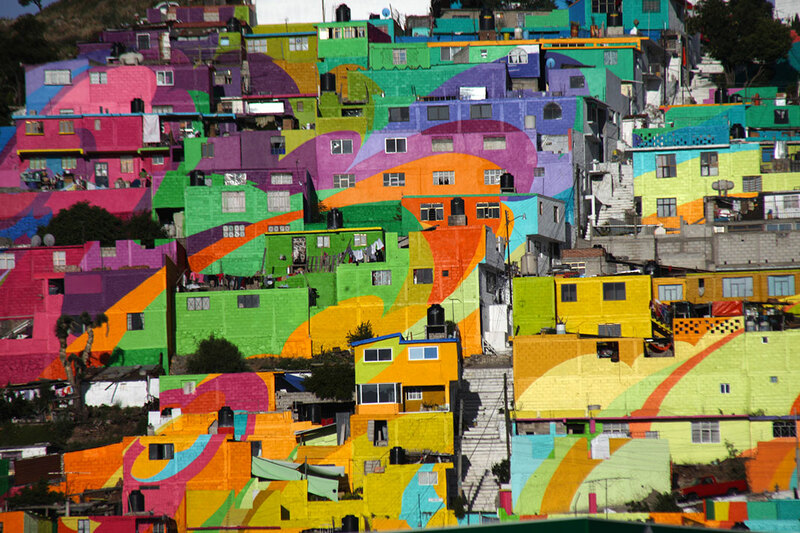 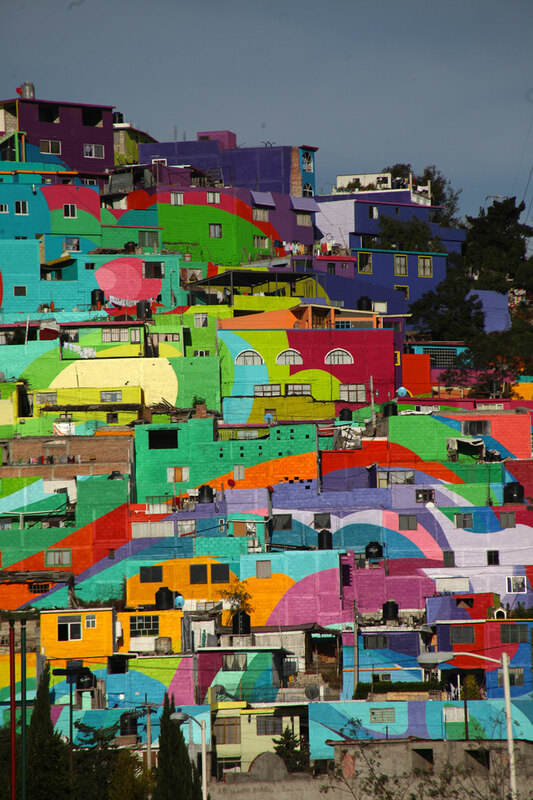 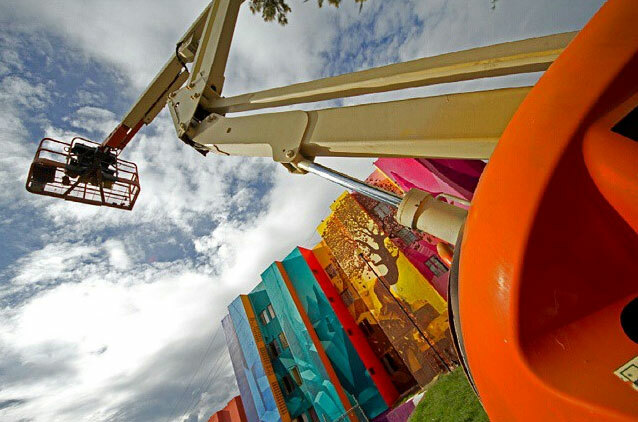 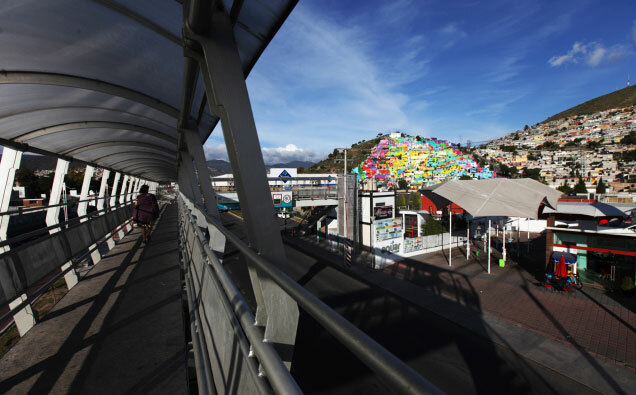 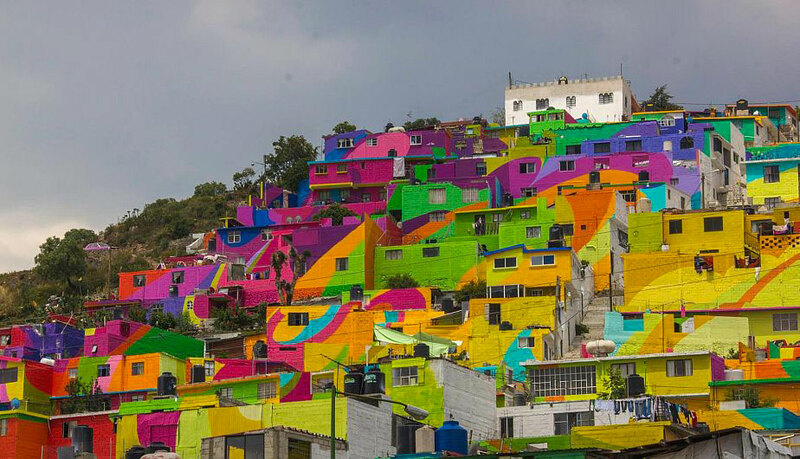 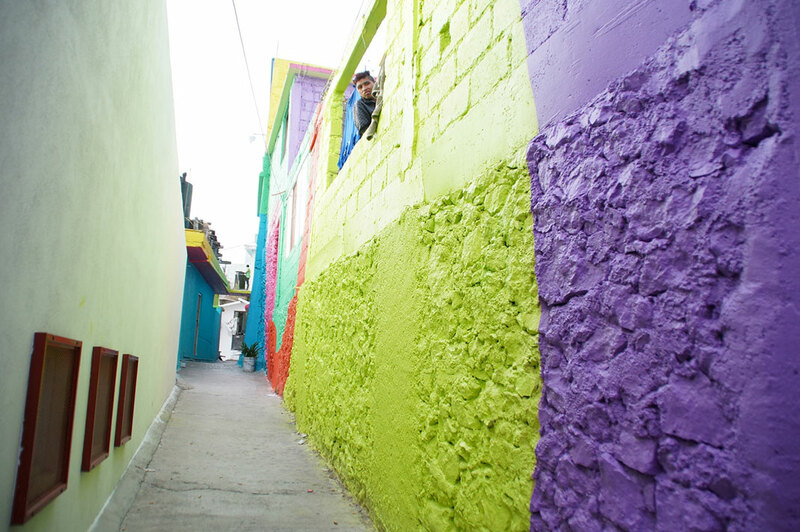 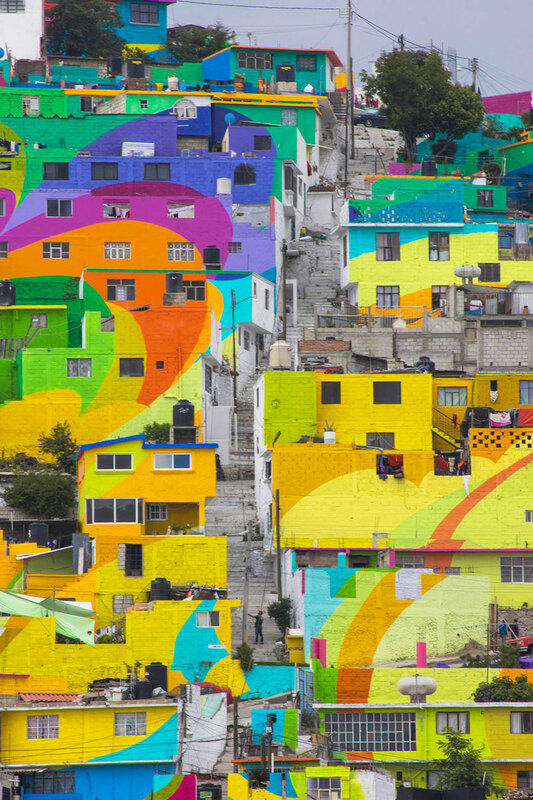 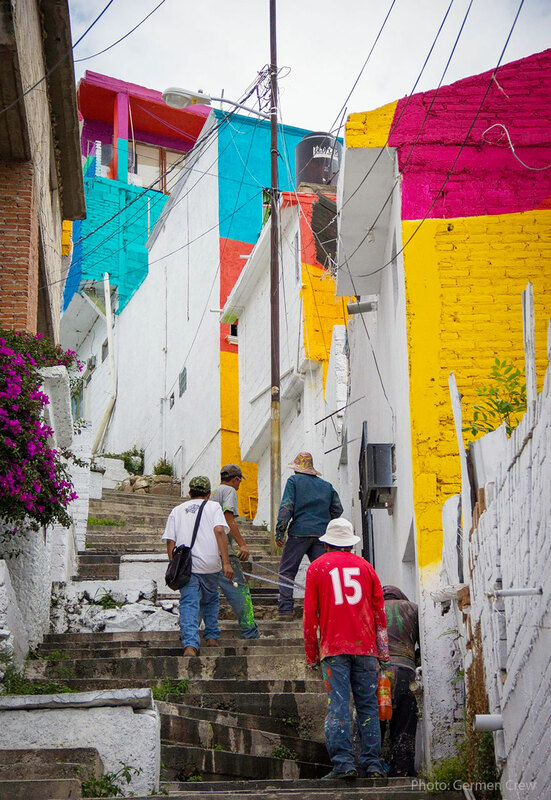 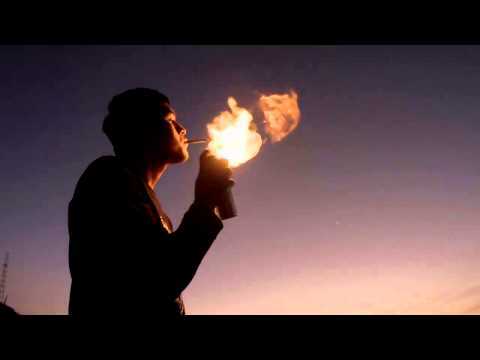 In order to improve the deteriorated image of the city the Mexican Government approached an association of artists named as the “Germen Crew”. 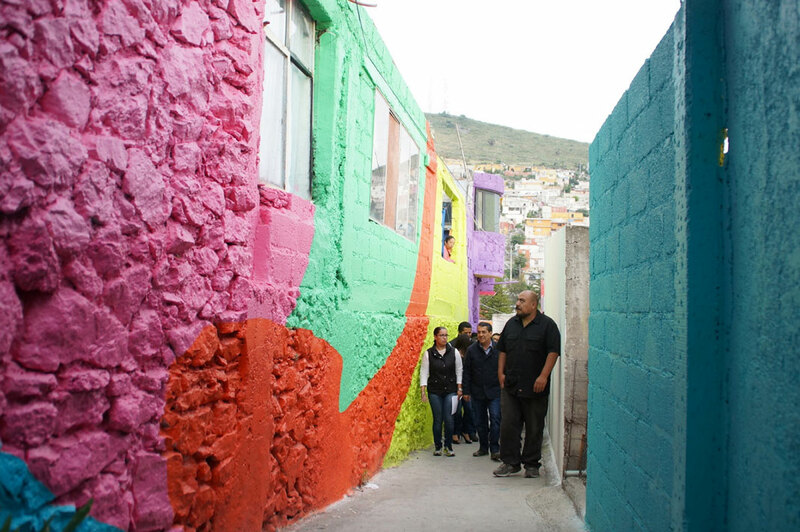 This youth organization has united all the community around a project. 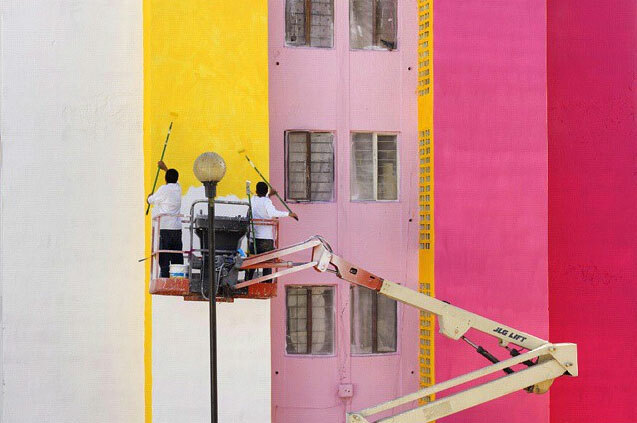 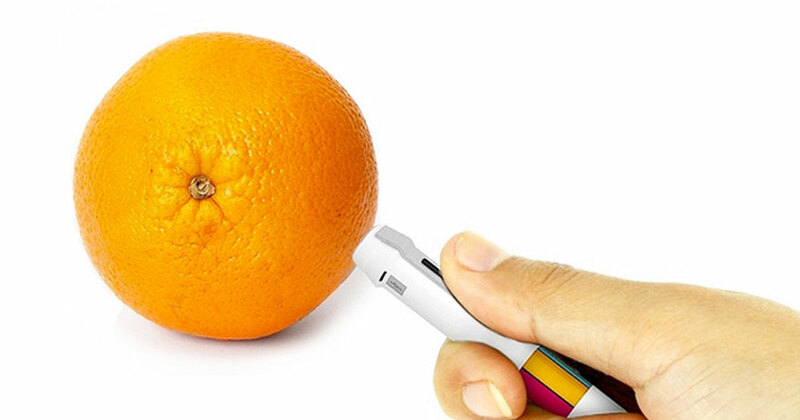 In five months, they created a combined mural on 20,000 square meters. 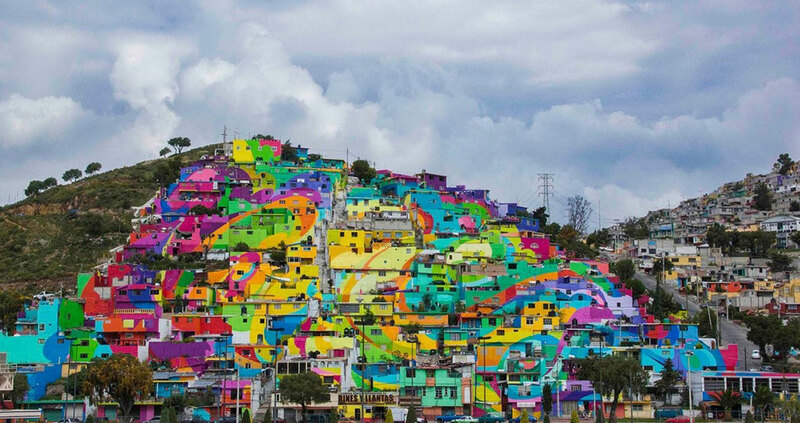 Full of colors, their creation is spread over 209 houses, giving impression of a complete community neighborhood standing together for peace. 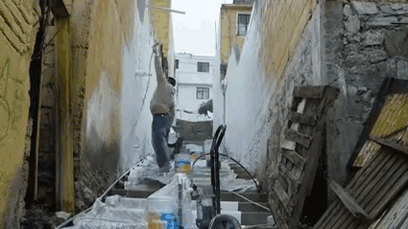 The 1808 people who gave life to this fresco realized a nice job. 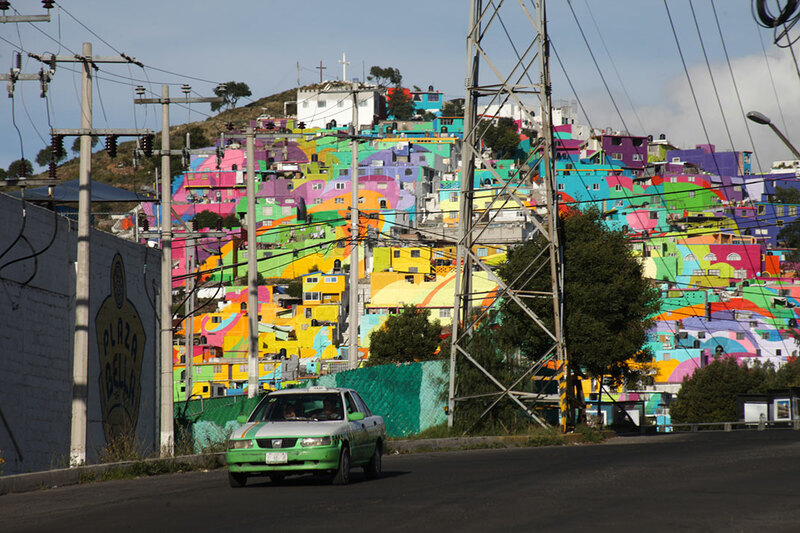 The idea of ​​bringing a community around an art project allows both to strengthen ties between individuals but also raise awareness of art as a means of expression. 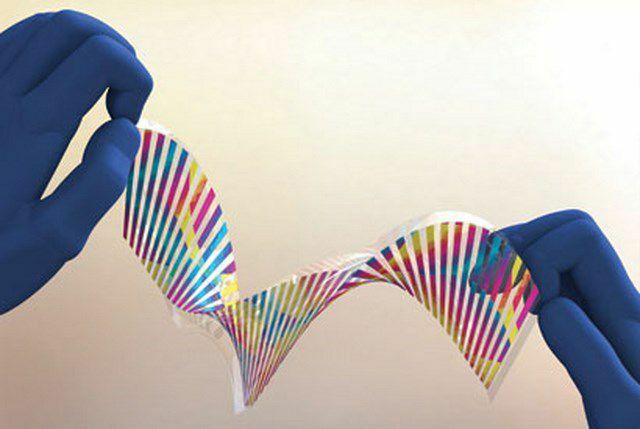 In writing, we particularly like to congratulate the group “Germen Crew” which has created a true team spirit to achieve a marvel. 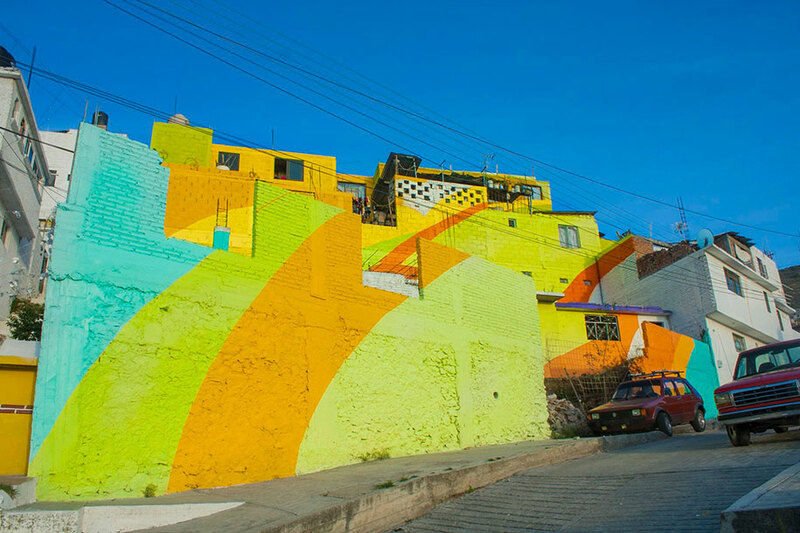 Would you like to restore the walls of your city in this way or do you find that art has no place on city walls?